Hide Newsstand on your iOS device. Is there a better alternative to StifleStand? Is StifleStand really the best app in System category? Will StifleStand work good on macOS 10.13.4? 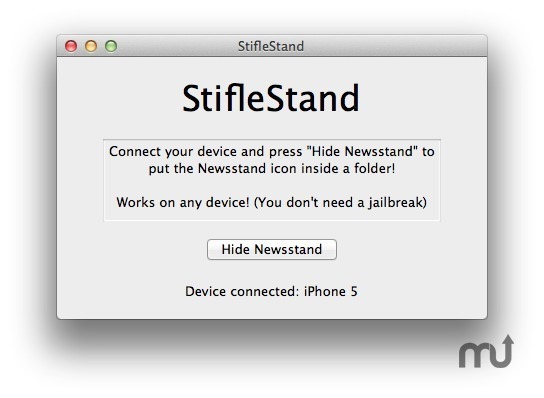 StifleStand hides the Newsstand application on your iOS device by putting it in a folder. No jailbreak is required.